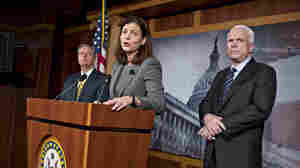 November 30, 2012  For many Americans, New Hampshire freshman Sen. Kelly Ayotte is a brand-new face. But she campaigned this year with presidential candidate Mitt Romney and was mentioned as a possible running mate. Now, she has joined veteran Republican senators in raising questions about U.N. Ambassador Susan Rice. November 7, 2012  We report on the morning after the election in Ohio, a pivotal swing state in the presidential election. November 6, 2012  Melissa Block talks with Don Gonyea as polls close in Ohio. November 6, 2012  Ohio and Florida could decide the election — or delay the results for days to come. NPR reporters in Tampa, Fla., and the Columbus, Ohio, area talk with Morning Edition hosts about what people are talking about at the polls and possible challenges. November 6, 2012  Ohio is possibly the most important state in this presidential race. A challenge over early voting there has turned into a dispute over provisional ballots. November 6, 2012  The campaigns of President Obama and Governor Mitt Romney have counted on an army of volunteers who have, among other things, knocked on doors, made phone calls and staffed booths at county fairs and parades in every state in the country. October 31, 2012  Robert Siegel talks to Don Gonyea about controversial political ads on the auto bailout from the Mitt Romney campaign. October 29, 2012  Wisconsin is in the small group of remaining battleground states that could determine the outcome of the presidential election. 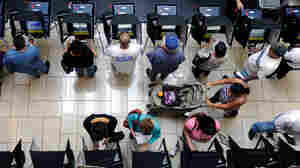 Turnout operations are an important part of the Mitt Romney and President Obama campaigns in all the critical states. But in Wisconsin, get-out-the-vote efforts grew out of the state's hard-fought gubernatorial recall election. October 22, 2012  Former Sen. George McGovern, the Democratic nominee for president 40 years ago this fall, has died at age 90, with his family gathered near him in South Dakota. 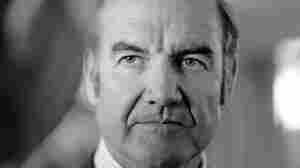 October 21, 2012  Former Sen. George McGovern died Sunday morning. He was best known as the Democratic Party's ill-fated nominee against President Nixon in 1972, a textbook case of how not to run for the White House. Even so, as a proud liberal, McGovern was an inspiration to many political figures. He was 90. October 19, 2012  One of President Obama's most high-profile surrogates, former President Bill Clinton, spoke at a rally in Parma, Ohio, Thursday. Rocker Bruce Springsteen was the co-headliner. October 17, 2012  Two weeks ago, GOP presidential nominee Mitt Romney was seen as the clear winner of that debate. A very different President Obama showed up for the second debate. He went hard after his Republican opponent from the very start. October 15, 2012  Early voting is underway in Iowa, a battleground state where the most recent polls give President Obama a very narrow lead in a tight race. Four years ago, Obama carried Iowa with help from a massive ground organization that far outpaced what the GOP was doing. This year, Republicans say that won't be repeated. 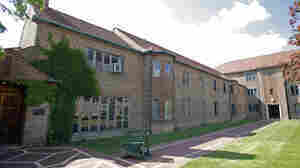 October 12, 2012  At Cranbrook School for Boys, Mitt Romney and his classmates "lived by the bell" and wore coats and ties to dinner. Romney made his mark at the prestigious private school, but a former classmate says, "you never saw Mitt and said, 'That's the governor's son.' He was one of the guys, quite honestly."